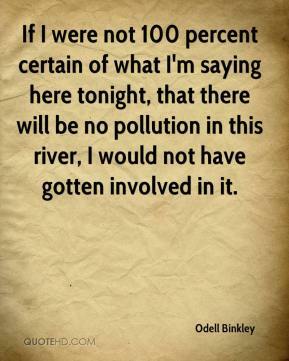 If I were not 100 percent certain of what I'm saying here tonight, that there will be no pollution in this river, I would not have gotten involved in it. 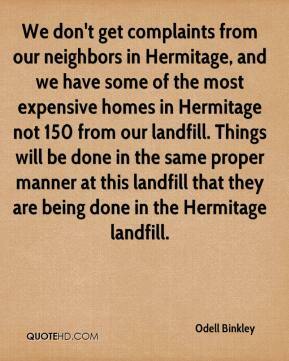 We don't get complaints from our neighbors in Hermitage, and we have some of the most expensive homes in Hermitage not 150 from our landfill. Things will be done in the same proper manner at this landfill that they are being done in the Hermitage landfill.